Residents on the western end of Tortola will continue to receive essential law-enforcement services and a more visible police presence following the completion of works on the West End Police station. 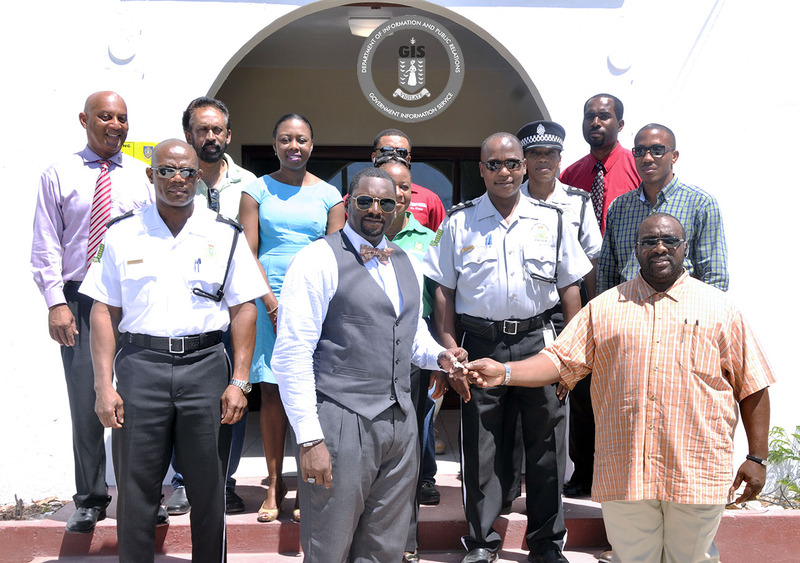 Deputy Financial Secretary, Mr. Wendell Gaskin handed over the keys of the refurbished Police Station to the Permanent Secretary in the Deputy Governor’s Office, Mr. David Archer, today September 25. The West End Police station was previously closed to undergo major repairs to the facility. As part of the extensive structural works, a new roof was installed and renovations were made to the office accommodations and police barracks. The completed works include the replacement of windows, the installation of a new security and fire system, the renovation and installation of interior finishes, painting to the interior and exterior areas, the removal and installation of an air conditioning system, plumbing and electrical works. The project was carried out to the tune of $318,000.000 and was completed over a nine month period, from January to September 2015. The West End Police Station is expected to be fully operational by November 1. The project was executed by the Project Support Services Unit of the Ministry of Finance under the guidance of Project Manager Duane Fraites and Project Coordinator Mrs. Barbara Pickering-St. Rose. The refurbishment of the West End Police Station is in keeping with Government’s mandate to provide protection to residents while improving the infrastructure of its facilities.